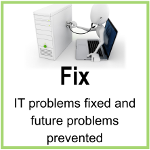 At Technology Tamed Limited we passionately believe in proactive support which means not just fixing your problems but preventing them from happening again. 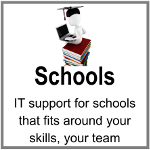 We offer a large range of IT support services to fit you, because we know that every business is different. Maybe you need top level technical advice? 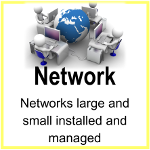 Or do you want all your IT managed for you? Or just need a little help when you have a problem? Whatever your needs we can help. 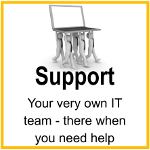 The fastest way to resolve most problems is with telephone and remote support. 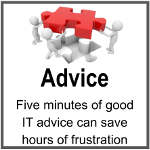 That said, we also recommend regular proactive onsite visits and computer support as we find these prevent future problems and sort out all the little 'niggles' that can irritate. To us your computers, servers and networks should work. "Everything at TT, from the name upwards, works for us : expert, prompt, friendly, jargon-free, cost-effective. " 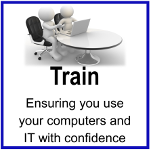 Do you trust your IT company to provide the solution you need, not what suits or excites them?